The University of Denver men's lacrosse team stunned the University of Maryland lacrosse team 12-9 in a fall-season exhibition at the Seattle Sounders FC practice facility on Saturday afternoon in front of 3.589 fans. 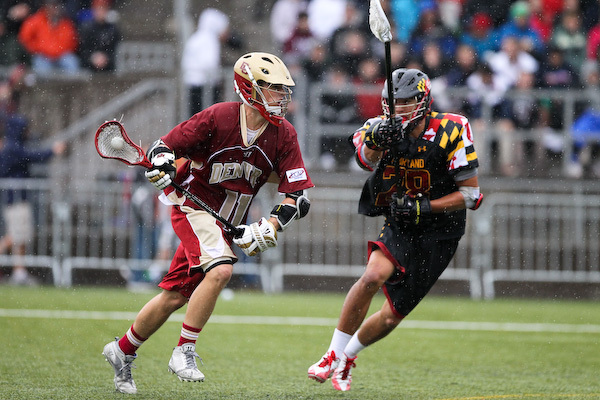 The game was the first NCAA DI Lacrosse game played in the Seattle and was a part of the first-ever Seatown Classic. "I'm just really happy that our guys came and competed against a great Maryland team," said head coach Bill Tierney. "That's all we told them to do, just come out and compete. We knew the score wasn't going to mean a lot but we wanted to come out and compete against a Maryland team that has made it to the National Championship game the last two years." Thanks for the heads up. The article over at Inside Lacrosse was excellent as well.